soundLINCS is a not-for-profit community music organisation delivering high-quality and innovative music making opportunities for all ages, abilities and needs since 1998. Our vision is that everyone has an opportunity to be empowered through music. A new toolkit to better understand and develop social impact, led by World Pencil, soundLINCS, Brighter Sound and musinc, with supported from Youth Music. First Notes is soundLINCS’ exciting new music resource app for use in Early Years settings or by parents and carers at home – especially those without any previous experience of music. 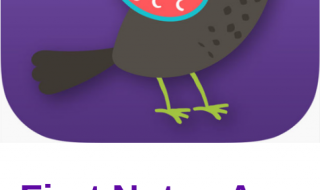 The App links directly with the Early Years Foundation Stage. 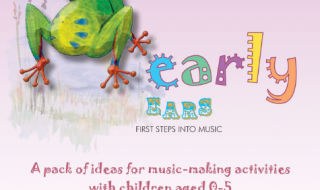 Early Ears is a practical and fun resource, full of ideas for music making with children aged 0 – 5. 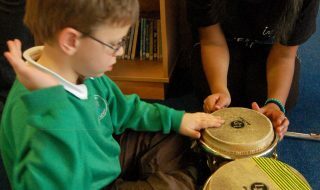 Developed by soundLINCS for use within the home, it draws upon two decades of facilitating inclusive music in Early Years and many other contexts. 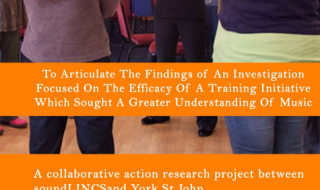 Qualitative action research project by Nottingham Trent University that explores the contribution of music intervention programmes for children in challenging circumstances, and specifically those working with a Youth Justice Intervention Team. 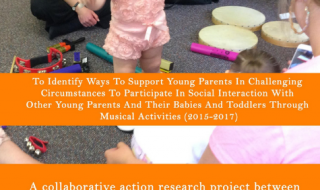 Research by Bishop Grosseteste University, Lincoln, to identify ways to support young parents in challenging circumstances to participate in social interaction with other young parents and their babies and toddlers through musical activities. 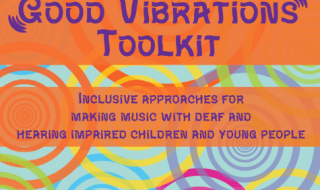 A practical toolkit of inclusive approaches for music making with deaf and hearing impaired children and young people. 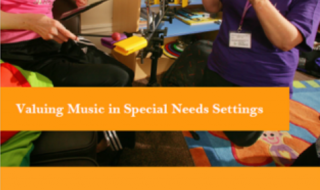 Developed by soundLINCS, it contains information, activities, advice and resources to support inclusive music delivery. A toolkit and training resource commissioned by Music Education Hubs. 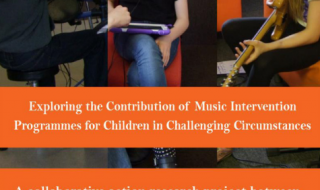 Developed by soundLINCS and Nottingham Trent University following practitioner led research to explore music making and singing approaches for whole class teaching in SEND schools.